In what seems to be yet another attack on education by the ruling government, the JNU administration has increased the entrance examination (JNUEE) fee by 300%. According to a leaked prospectus on March 14, the fee has been increased from Rs 1200 for the general category for admission to three subjects to Rs 3600 for three subjects for general, Rs 2700 for OBC and Rs 1800 for SC, ST and others. They have also closed down lateral entry into the BA programme, reduced deprivation points for MPhil as well as PhD and delinked the integrated MPhil-PhD programme. The fee hike is not just limited to Indian nationals. Foreign students too are facing the brunt of administration's arbitrary decision. There has been a 200% hike (from 600$ to 1200$ for Humanities and from 700$ to 1700$ for Sciences) in semester fees and a 400% hike (from 75$ to 300$) as indicated in the prospectus. The administration has refused to recognise this year’s elected students union and has not allowed the Union to participate in the Academic Council meetings, where this decision was taken. Infringing a democratic decision making process, the JNU VC Mamidala Jagdish Kumar unilaterally decided the admission policy which now reflects a 300% fee hike for Indian nationals and a 400% fee hike for foreign students. Apart from the massive fee hike, additional GST is also applicable on the amount. A document on GST on Education Services states that: "“Education” is not defined in the CGST Act but as per Apex Court decision in “Loka Shikshana Trust v/s CIT”, education is process of training and developing knowledge, skill and character of students”. “At a time when JNU is celebrating 50 years of its existence by cherishing its “Make the University Model”, VC Jagdish Kumar is celebrating it by a “Break the University” model”, said JNUSU president N Sai Balaji in a Facebook post. The JNUSU has condemned the administration’s decision and called for a University strike today, warning the VC to hold back the anti-student prospectus. Speaking to the Indian Cultural Forum, School of International Studies convenor Aishe Ghosh said, “The hike in the price of the forms is a clear indication of preventing the marginalised sections from coming into this university. Students from economically backward and marginalised sections could come and study in this university, but now they will not even be able to fill up the forms because the prices are too high. They are trying to make JNU like other private universities where we hardly see students from the economically backward classes. This is going to affect the character of JNU as an inclusive university and is part of the administration and the ruling government’s larger agenda of pushing JNU towards privatisation”. 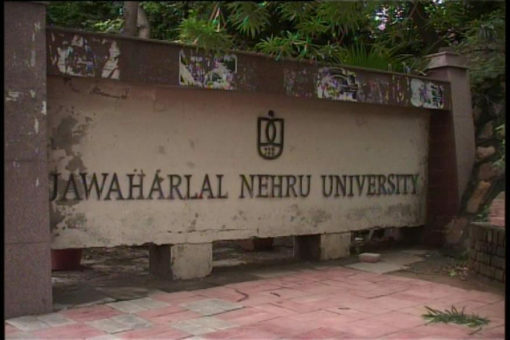 The implementation of these decisions, taken undemocratically by Mamidala Jagdish Kumar-led JNU administration, is another step towards the privatisation of higher education in the country, putting an end to the freedom and inclusivity of the education system and making education for the economically weaker sections unapproachable.